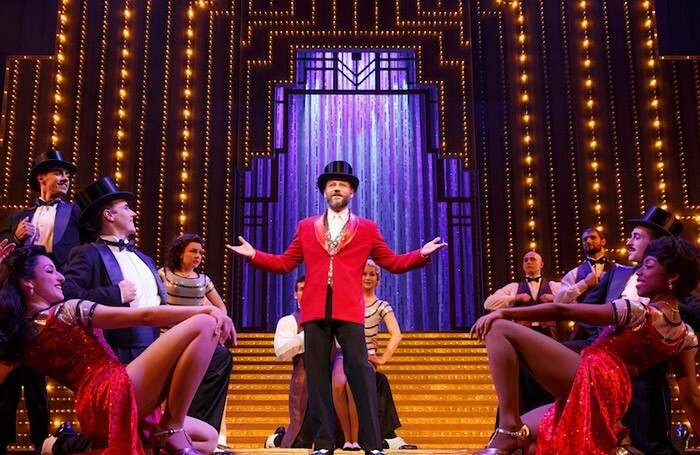 Though Cirque du Soleil’s first show on Broadway, Paramour, features some spectacular circus acts, there’s something ludicrous about its efforts to marry them to what’s supposed to be a traditional Broadway musical. It’s been the best part of a century since a plot like this surfaced on Broadway without it being a spoof. Jeremy Kushnier plays AJ, a legendary Hollywood director, who discovers Indigo (Ruby Lewis), newly arrived from the Midwest, working as a chanteuse in a speakeasy – the kind where the bartender juggles wine bottles, waiters swing around poles, and patrons leap in the air and tumble over the piano. AJ hires the player of that piano, Joey (Ryan Vona), to write the music for his next movie – called Paramour – and casts Ruby on the spot to be his star. A love triangle ensues. At one point, a trio of formidably flexible trapeze artists mirrors this triangle, wearing the same outfits as the three actors. Indeed, every scene or song is accompanied by specialty acts or special effects that range from the peerless to pointless – acrobats do quadruple backflips, shirtless aerialist twins fly over the audience, large alien-looking lampshades hover over a love duet, trampoline artists tirelessly bounce up and down in a climactic and thoroughly baffling chase across a hotel roof. All the dexterous derring-do acts not just as a distraction from the dopey dialogue, uninspired lyrics and largely generic music, but as the only good reason to see this show. 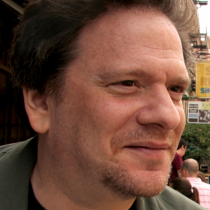 Jonathan Mandell is a New York-based critic and journalist.